Likely the most contentious development under consideration in our ward right now is the proposal for 398-406 Roosevelt Avenue - a six-storey mixed use building that would significantly change the face of that residential street. I've made no secret of my opposition to it with planners, the developer and residents. If approved, I believe it would set a new bar for what this Council is willing to accept by way of intensification in our ward, fundamentally changing the function of the residential streets in a broad geography from Island Park to Golden, and from Byron to the Transitway. As a spot re-zoning, it's completely inappropriate to effect that kind of change without a broader plan for the community. It is probably inevitable that the edge of our neighbourhoods will change significantly - as along Scott Street - to become higher and denser near transit. And, infill will continue in our ward, changing the face of our streets and with its own challenges. 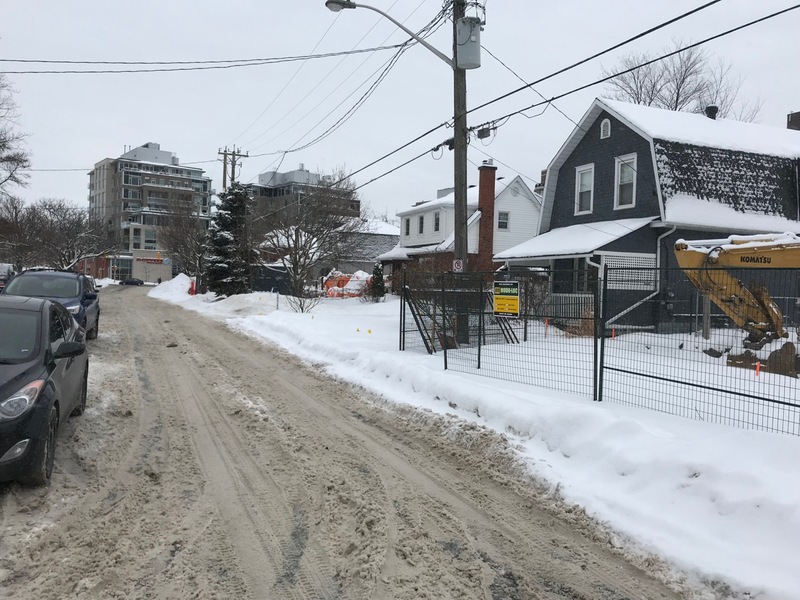 But the spectre of approving a six-storey mixed use building facing a street that is primarily low-rise residential and not designated for mid-rise without a broader plan has shaken residents. I have two key updates this morning. The Panel recommends that the building be lowered in height to four storeys, with the possibility of stepping back a fifth storey. This step back is particularly important on the north side, abutting the existing residential uses, where the Panel believes an increased separation between this building and the existing house is desirable. To improve the transition toward the residential area to the north, consider introducing a driveway along the north side of the lot to establish more space between the proposed building and the house next door. The Panel feels strongly that the lack of a landscaped buffer at the rear lot creates an unacceptable transition from this development to the adjacent lots to the rear. The Panel recommends reducing the size of the asphalt pad, and introducing landscaping to improve the impact on the rear neighbours. The Panel suggests reducing the number of points of vehicular access to the site, immediately next to the residential neighbours. Ideally, the ramp to the underground parking could be accessed from the existing lane on the adjacent commercial property to the south, to reduce impact on adjacent residential neighbours. The Panel is of the opinion that the proposed office units could work commercially. However, the applicant should consider live-work units at the ground floor as an alternative, as this is a transitional area between a main commercial street and an established residential area. While many of these changes are positive, we cannot lose sight that this is still a six-storey mixed-use building on a residential street. We simply cannot approve this building in the absence of a plan for the neighbourhood developed transparently and honestly. As a spot re-zoning, this is just too material a change to make in our community. I'd also like to note this morning that the developer Domicile is now proposing to split the site plan from the re-zoning. That's good news since site plan does give me a little more leverage to accomplish smaller technical changes down the road. While it's still important to understand how the developer and residents see the site plan moving forward, that part is at least mutable. I look forward to continuing to hear your feedback, and encourage you if you have not done so to make your views known to the City.